Update: Version 0.975 resolves this issue. Unity 5.6 introduces a new bug by changing the communication between an Unity App and the surrounding website. This will cause problems while loading the java script code of the plugin. For now the problem can be avoided by using templates which include the java script code before the unity app is started. Simply import the unitypackage files and select the WebGL templates via the WebGL Player settings. 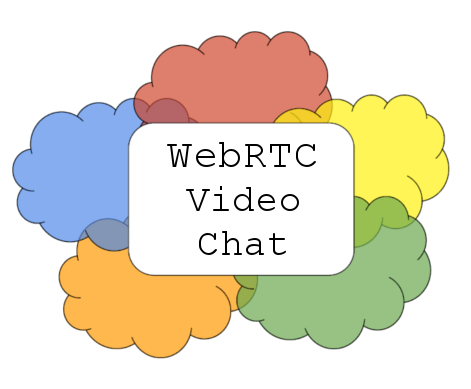 You can find the needed files here: WebRTC Network , WebRTC Video Chat template. You can find more information about Unity WebGL templates here (not yet fully up-to-date). Version 0.972 is available in the Asset Store now. Edit: Due to many emails I get: Mac doesn’t support sending video yet. Android doesn’t support receiving / sending video in the current version. I am working on it! Browser + Windows should work fine. The new Version 0.972 is now waiting for approval by Unity. It uses now the same WebRTC version as Chrome 53 (changelog). It also contains some bugfixes and a new default stun server after the old one went offline. All examples are updated and should work again. Let me know if you experiences problems! New Version 0.971 is ready! The new Version 0.971 is now available in the Asset Store! It comes with a few bug fixes, easier configuration via the Unity Editor and the first test versions for Mac and Android support! Note that Mozilla stun server is currently unavailable. If you have any connection problems through firewalls use “stun:stun.l.google.com:19302″ instead! I will provide an own stun server for testing soon to avoid those problems in the future. My new unity assets were finally released and a new version is awaiting approval! WebRTC Network was downloaded many times in the past already and received now support for Googles native WebRTC API! It can now run on Windows and browsers using the exact same interface. Even connections between different platforms are possible. It will receive new updates in the next few weeks addition support for Mac and mobile platforms! My newest asset is WebRTC Video Chat. Building on top of the network version it allows audio and video streaming in addition to sending text messages. 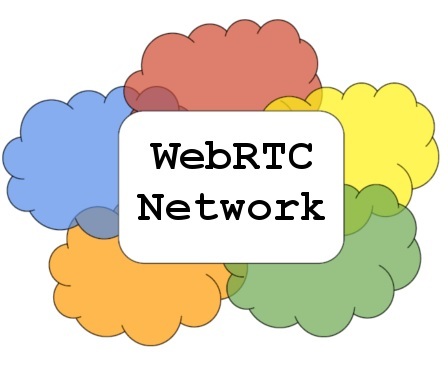 Checkout the pages for WebRTC Network and WebRTC Video Chat for more information and test the sample applications! First working version of Flowave. 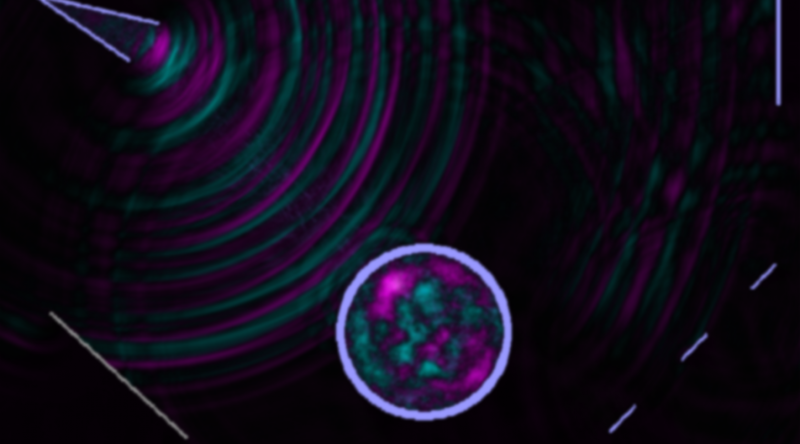 A multipurpose wave simulation + physics learning tool. It uses the GPU via OpenGL/Unity and thus can run on pretty much all platforms including WebGL/HTML5! For now it is the only library that allows Unity developers to create real-time multiplayer games! A new game is finished and this time I will actually publish it! Testank is a new kind of arcade game combining simple game play inspired by old school games like Asteroids with new features such as real-time multiplayer, player ranking and unique artificial intelligence controlled fish. You play a catfish that needs to gather food to gain points while avoiding obstacles and fighting competitors. Sounds simple? Give it a try! You can play it on gamejolt and soon on this website as well!